The new Star Wars trailer just came out. Rogue One. My first impressions? They went retro. Its 1977 tech again … Uh oh, not another Death Star … Hmm, more bad guys with capes … Why are the Storm troopers such bad soldiers? … They have Star Destroyers but haven’t invented smartphones … and selfie-sticks. My feet often look like 1977. 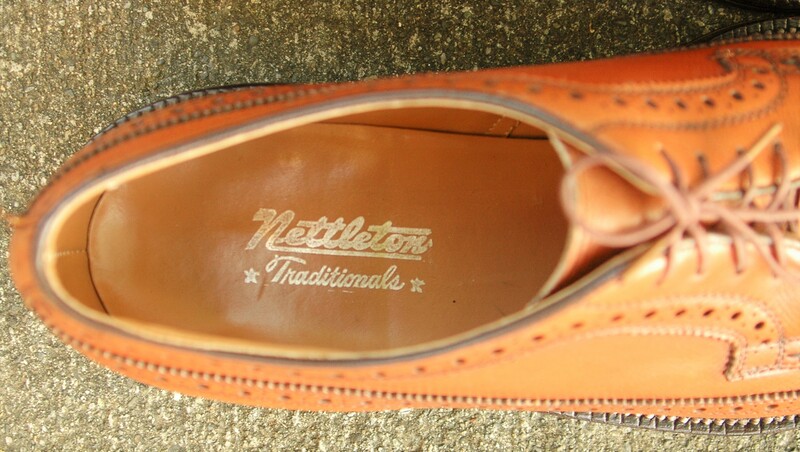 I am not sure when these Nettleton shoes were made but it could have been that year. The Nettleton models 0205 (brown) and 0206 (black) were essentially their version of the Florsheim Imperial 92604 and 93602. 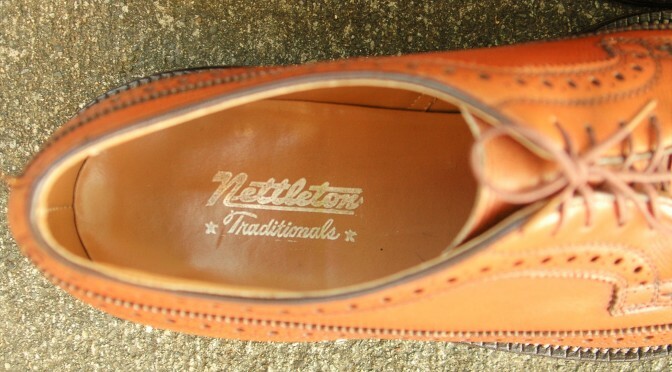 As I mentioned in another post, “Traditionals” was Nettleton’s premium product line. 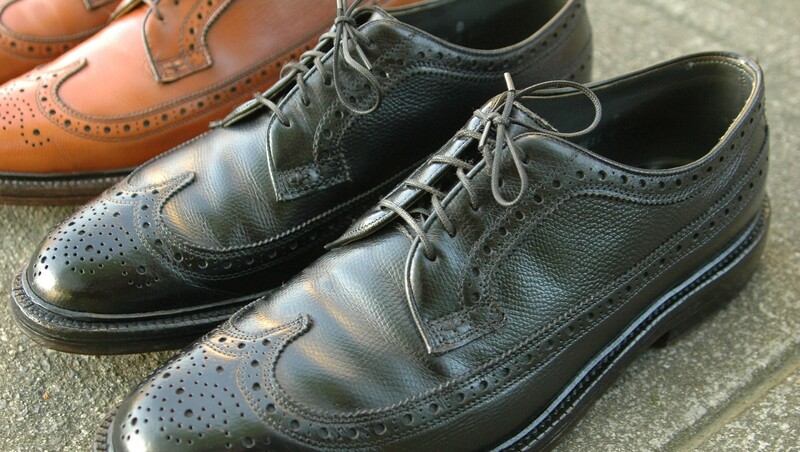 These shoes are all leather and fully leather lined. 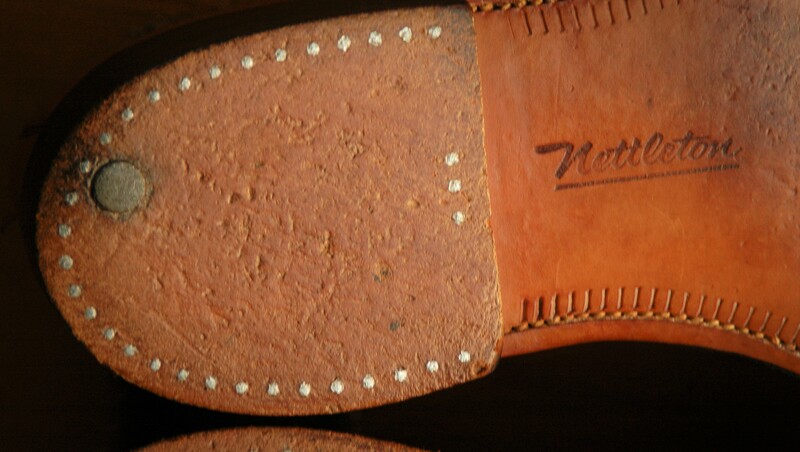 The upper leather is thick. The soles are are extremely wide. 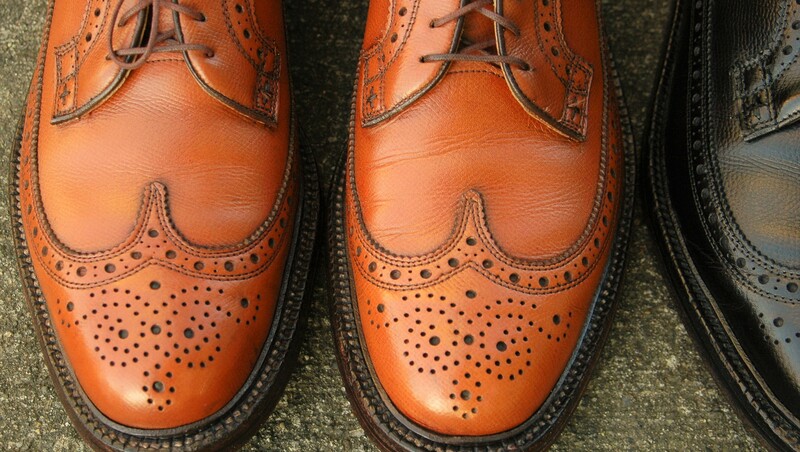 The broguing is very pronounced. 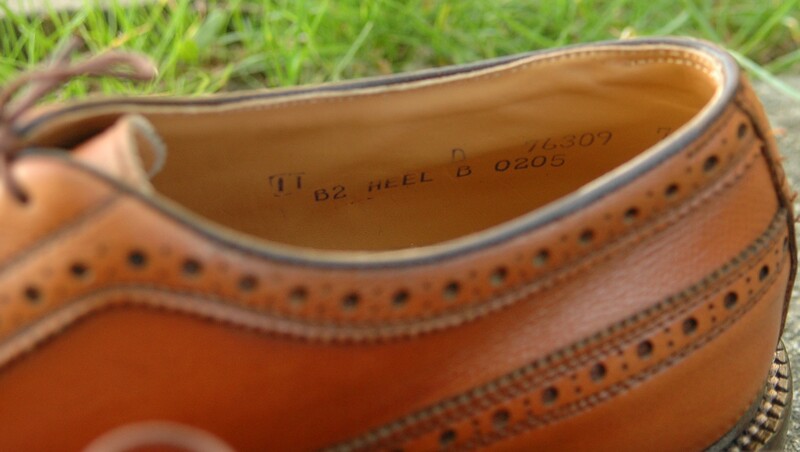 Both wearing them and measuring them, these Nettleton shoes run true to size. They might be a tiny bit wide. Since many vintage shoes are hand crafted, there is variation in sizing even for the same model and size. What is that circle in the back of the heel? Its a metal plug. Its like a v-cleat but not V. It is surprisingly substantial. 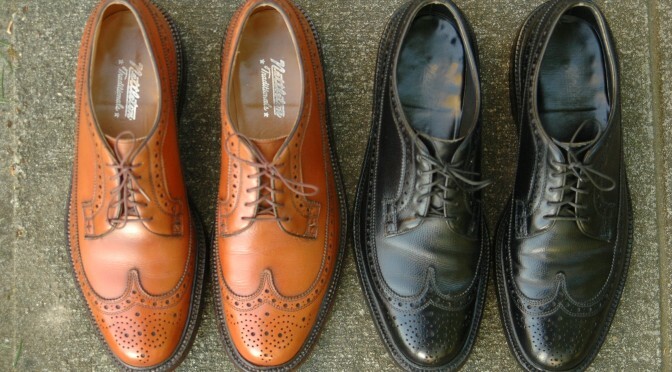 Are they a better shoe than Alden, Allen Edmonds MacNeil or Florsheim Imperials? I don’t think they are better but they are comparable. I do like the comfort of my Alden and Florsheim shoes better. 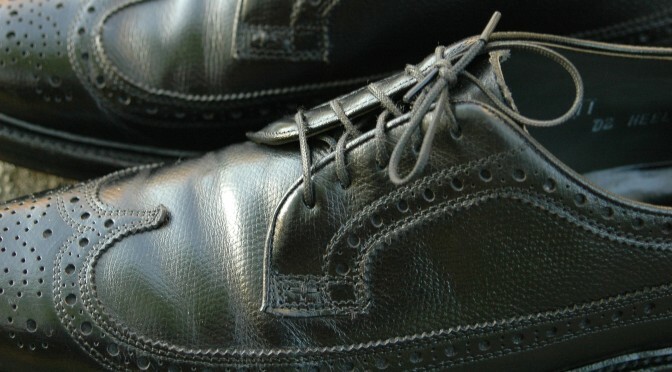 Allen Edmonds has a better lining. 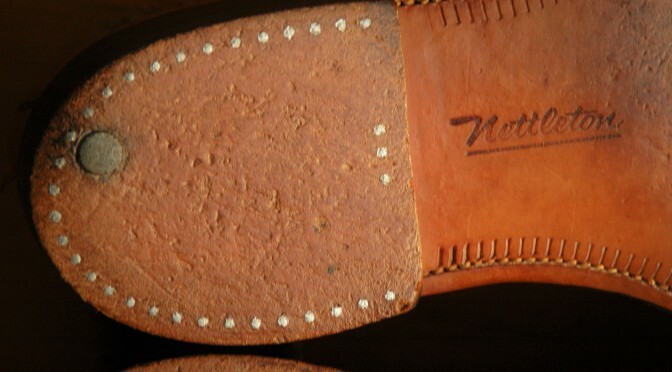 I think the style of the Nettleton shoes is a bit cooler. 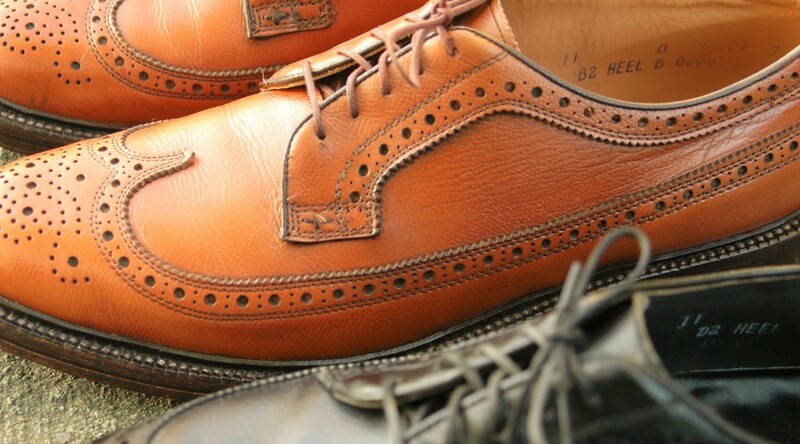 If you are a collector of vintage men’s shoes, these should be on your list. 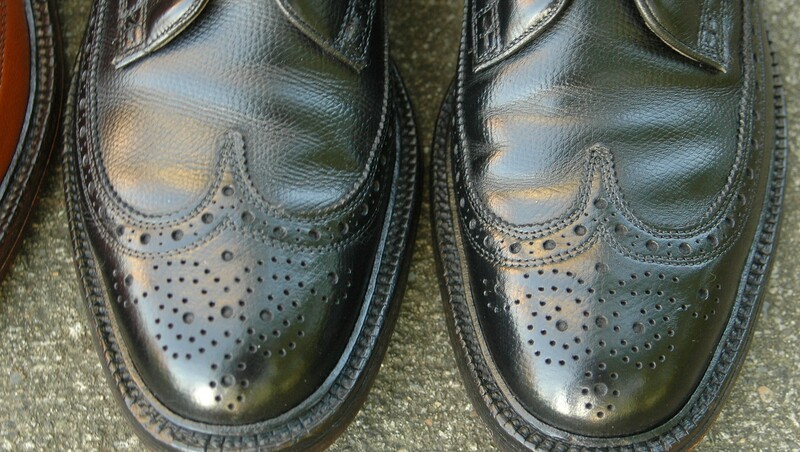 They are somewhat uncommon on eBay but not rare. 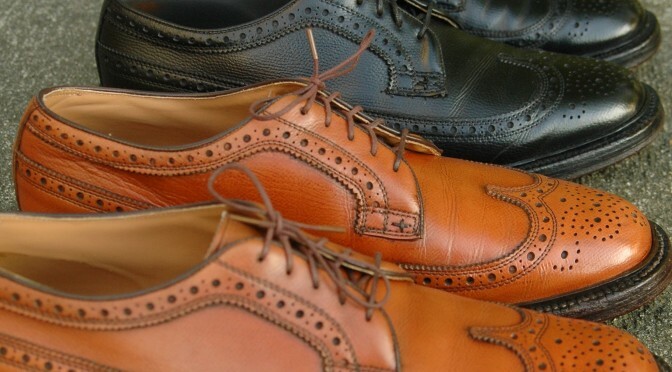 It will likely take some time to find a pair in your size. Depending on the condition and size popularity, expect to pay somewhere between $50 and $150 for a worn pair. This…is a very dangerous blog/website. My kid’s college funds hate you. The kids want you to be happy. That’s their first priority. Its true of all kids. Make their parents happy. Pretty sure.